What better way to celebrate spring than the arrival of new fabrics in unexpected hues. While navy is a classic, we’re challenging our clients to find their perfect match in an unexpected palette. 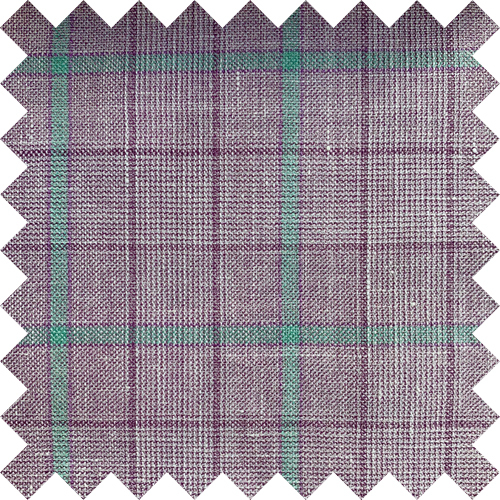 We’re offering lavender to sea foam green; they’re all sure to turn heads (in a good way). 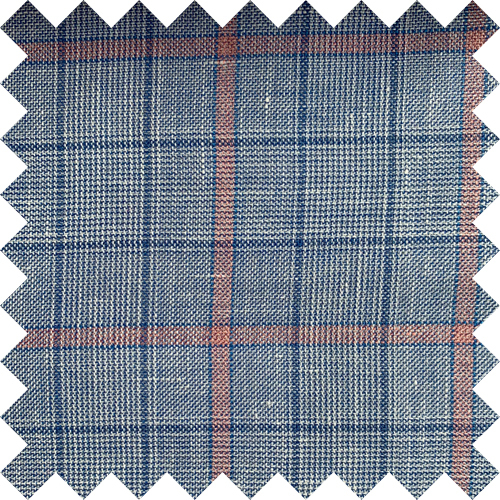 We’re also proud to offer fabrics from some of the best mills in the world, including Loro Piana, Vitale Barberis and Carlo Barbera. An ocean blue is a twist on traditional navy. 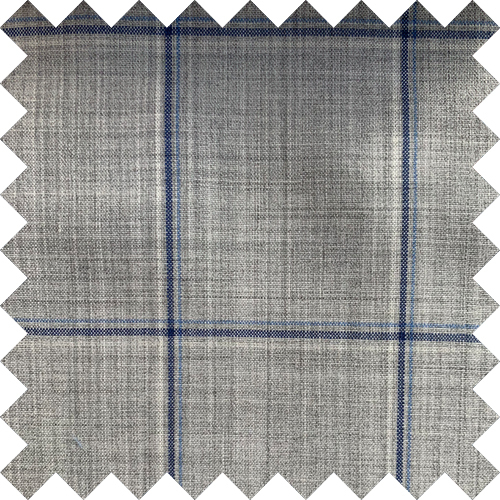 Add a little character with a plaid, such as this Loro Piana beauty. This blazer can be worn with khakis or navy slacks. 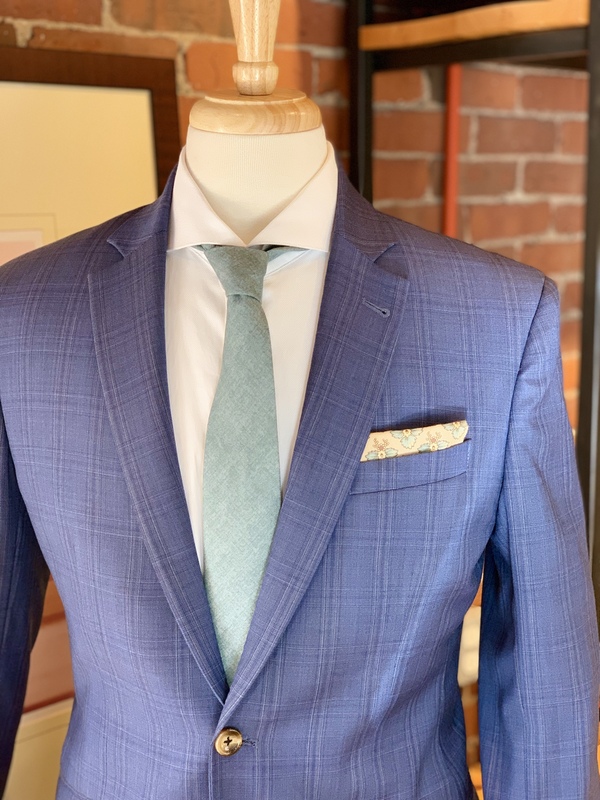 We suggest wearing it with a mint green tie and a floral pocket square from our friends at General Knot. Feeling more adventurous? Mauve, pinks and rose colored fabrics are having a moment. We love this color because of its versatility and its bright hue. Throw over a pair of jeans for a smart-casual look. We guarantee that you’ll be the best dressed guy around. 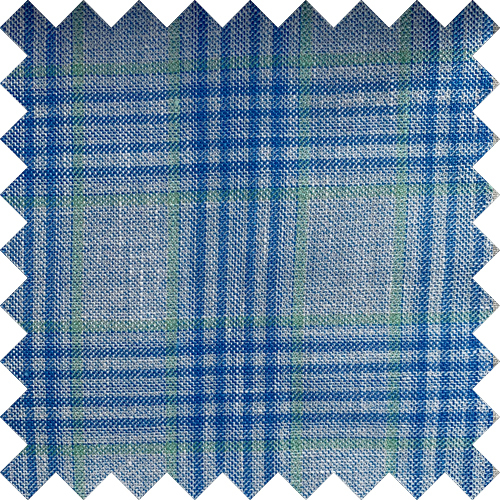 Tie and pocket square also from General Knot. Because it’s just a blazer (and not a full suit) you can afford to get a bit more colorful and bold. Just remember to keep your shirt and pants on the tame side and you should be ready to rock your look! These beauties below are all wool/silk/linen blends, bound to keep you cool even as the temps rise. Many of our blazers start at $575.00, but a few shown above are $875.00 or above. 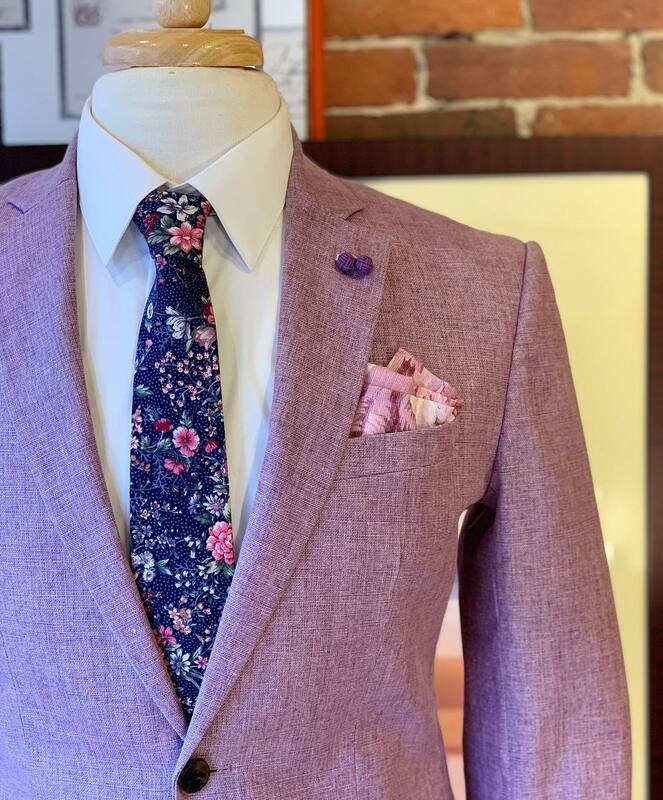 To set up a consultation, email us at info@9tailors.com or call us at 617.286.6135.